The AXIOM Gamma is the AXIOM Betas big brother and packs more performance and modularity in a larger and more expensive package. The AXIOM Gamma is planned to utilize a fully modular hardware concept (the "Open Module Concept") that allows swapping of all essential camera components like changing PCIe cards in your PC. But since this modularity also includes the enclosure there is no single way the AXIOM Gamma can look like, below you see different stages and design studies that show different concepts. 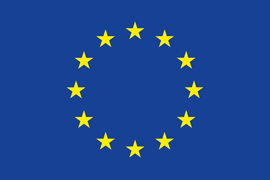 The AXIOM development consortium has received a Horizon2020 ICT grant from the European Union funding the entire development up to a "pilot" production of the AXIOM Gamma. This grant runs from spring 2015 to summer 2016. The AXIOM Gamma is currently estimated to be available to end user in Q4 2016 at the earliest. We might run a crowd funding campaign to cover starting production around that time. Submitted 2 years 3 months ago by Sebastian. Submitted 2 years 6 months ago by Sebastian. Submitted 2 years 7 months ago by Sebastian. Submitted 3 years 1 week ago by Sebastian. Submitted 3 years 3 weeks ago by Sebastian. Submitted 3 years 3 months ago by simonrepp. Submitted 3 years 7 months ago by Sebastian. Submitted 3 years 8 months ago by getzi.